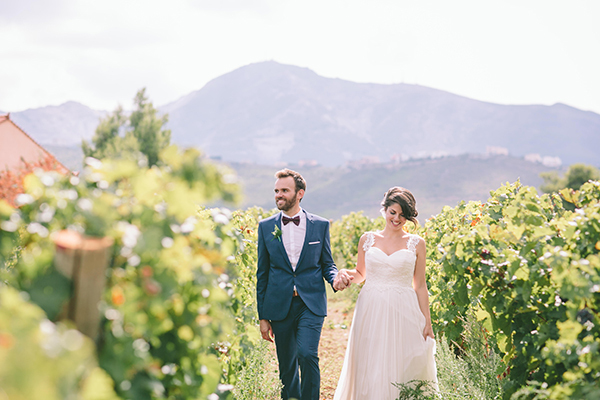 What totally won my heart from the eco-friendly wedding we are so happy to share with you today, is the stylish and carefully curated choices the bride made when planning her wedding in Athens, Greece. Every detail from this enviromentaly friendly wedding was thoughtfully planned such as the plantable wedding favors and the unique wedding invitations made from eco-friendly material and were fire engraved instead of just using ink. 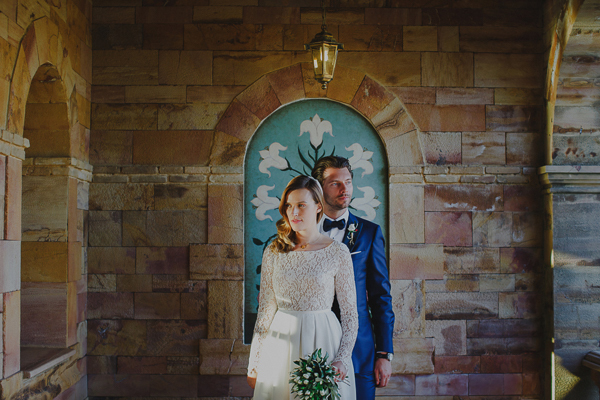 And the wedding dress… dreamy beyond compare! How can you not fall in love with the breathtakingly low backless gown Ourania Kay wedding dress? Their wedding videographer, Nikos Dimou made sure to capture every single tender and candid moment in the most beautiful way. In his own words: “When I first met with Eleni and Spiros, it felt like I knew them for ages. As if I was shooting the wedding of two of my best friends. I thought… it’s because this was the last wedding of a very exhausting summer season maybe… Or due to the great October sunny day. Or because I was in a very nice and calm place like Ktima Laas. Or due to the great company of Mr George Pahountis, a great friend and photographer of the event. Maybe all of these elements played their role to that. But the main reason was the couple itself. Spiros and Eleni is such a great, funny, out-hearted couple that only by looking to their eyes, you realize what kind of people they are. For these… and other special reasons I cannot explain here… this was one of the weddings I enjoyed most and was honored to be there with them…Enjoy”. Dipnosofistirion, Laas Estate are on Chic & Stylish Selected Vendors.